Southern Sociological Society Meet Up in ATL! This Friday 3pm! Attention all my Southern friends. A bunch of us from SociologySource.org, SociologySounds.com, SociologyInFocus.com, and Soc’ing Out Loud are going to get together this Friday from 3pm–5 pm at Meehan’s Public House. It’s just a bunch of friendly sociologists hanging out. Nothing major, everyone’s welcome! Who: YOU! Open to all Sociologists, Criminologist, any other type of social scientist or teacher, and their friends. How Will You Find Me? : I’ll be wearing a red t-shirt that has the Marx Is My Homeboy logo on it (see below). There Is No Way I Can Fail Your Class! It’s begging season. Around this time of year students across the country get desperate. I teach between 300–500 students every semester. So any crazy life situation that only happens to 1 in 500 students, happens in my class… every semester. Even students with mundane explanations for their poor performance can ruin your day after they tell you all of the dire things that will happen to them once you submit their D or F. It’s awful. I became a teacher to help students achieve their dreams, not to see them fall away from them. It’s excruciating for me. If you’ve taught more than one semester, you’ve had to deal with situations like this. Given how much I hate the social awkwardness of student begging, I’ve developed a 2 phase approach. Two weeks before the end of the semester I run the grades for the class in Excel. Then I sort the grades and get the names/emails of everyone who has a 74% or below. All of these students get an email that informs them that they are “at risk” of earning a D or below and what they can do right now to improve their grade. See below and download the text of the email here. On the day that final grades are posted I send a class wide email thanking the students for a great semester and letting them no that there is no point to even asking for additional assignments or freebie points (or what I call “Just ’Cause Points”). I really tried to frame the email as a positive and explain that my unwillingness to change anyone’s grade stems from my desire to treat everyone in the class fairly. See below and download the text of the email here. My plan isn’t fool proof and I still get a fair amount of emails from students that start with, “I know that you said you wouldn’t give out any extra makeup points, but I just can’t fail your course!” But, I get a lot less with my proactive approach. What if we designed our courses like they design airports? Everyone gets where they need to go even if they don’t speak the language. I posed this question on Twitter last week and it’s been reverberating around my head ever since. Just like the airport we have no control over who comes through our classes. We are expected to serve all comers. Travelers and students both come to us with varying levels of skills, competencies, knowledge. Some travelers are thrilled to be in the airport (i.e. “I’ve made it!”) while others see the airport as nothing more than a means to an end. This also holds for our classes (Substitute travelers for students and class for airport). My point here is simple: How we design our courses is where most of the biggest opportunities for improving student learning reside. It’s easy to discount this as a quant idea, but a great deal of SoTL research is comprised of ways that teachers can change the design of their courses to achieve pedagogical aims. Furthermore, what other lever is there to pull here, other than course design? What are the component skills that a person with a sociological imagination employs? How do these component skills have to be integrated to use the sociological imagination? When do you know it’s appropriate to apply the sociological imagination? I found answering these questions harder than I anticipated, how ’bout you? I think many sociologists treat the sociological imagination like Justice Potter Stewart treated obscenity, “you just know it when you see it”. Thinking back the way I was taught the sociological imagination was through repetition. Almost every class I took featured a prof explaining how situation after situation could be understood from a sociological perspective. As an undergrad I tacitly picked it up through watching my profs use theirs. Most 101 textbooks aren’t much better; almost all of them quote Mills and then provide 4–5 sentences of analysis from the author. Undergraduates can’t learn the sociological imagination by reading Mill’s quotes! The sociological imagination is a skill. No one picks up a skill simply by reading the quotes from a practitioner. In How Learning Works Ambrose et al. (2010) discuss the science on skill/knowledge acquisition and mastery. “To develop mastery, students must acquire component skills, practice integrating them, and know when to apply what they have learned” (Ambrose et al. 2010: 95). Reading this set my hair on fire and I knew I had to break down the sociological imagination. I searched Teaching Sociology and found a number of studies that discussed pedagogical interventions and assignments that would encourage students to use their sociological imagination, but I couldn’t find anything that generalized the sociological imagination. So I set off to do it myself. So far, I’ve got the component skills mapped out. I broke up the sociological imagination into 3 main component skills. To help my students see each of these I put together a mind map. This is far from perfect. First, the skills aren’t mutually exclusive; social contexts overlaps with many social structures is just one example. Second, there is a Russian doll issue in that each of these component skills are themselves comprised of component skills. Third, it’s hard to model all of the interplay between every piece/node on the mind map. Lastly, I sense I’ve left off a few component skills and I know I’m missing pieces. For instance, I’ve left off some forms of social hierarchy. We need more SoTL research on the Sociological Imagination as a skill and more resources for helping our students master it. If we struggle to put into words the skill that we call the sociological imagination, we should have no trouble finding empathy for our students as they work toward mastering it. Sociology isn’t a collection of research findings and concepts. It’s a way a thinking, seeing, and a methodology for exploring the world around you. Every soc teacher knows this to be true, but if we looked at how we spend our time and energy would we find ourselves teaching the former or the latter? I’m not judging anyone here. I don’t have this figured out myself. I’m simply pointing to a struggle that I think many of us have. The mismatch between what we know sociology to be and how we teach it and what our students learn from it; that’s a tough nut to crack. So I haven’t posted here for a hot minute. I’ve been really busy, but I’ve also been dealing with a sort of existential crisis. 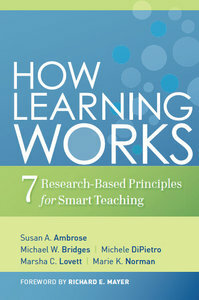 I read the book How Learning Works by Susan Ambrose et al. and it rocked my world. The book synthesizes the latest research from the scholarship of teaching and learning, cognitive psychology, and the like. It’s tremendous and should be required reading for all teachers. But why the existential crisis? For better and for worse, teaching is my obsession. I started this blog because I wore out my friends and family talking about my classes constantly. Over time being a “good teacher” became a central component of my identity. When I started this blog there was a constant voice in my head saying, “Who are you to tell anyone anything about teaching? Just who do you think you are?” I overcame this anxiety by pouring myself in my work and seeking external validation of my work. If my students gave me good evaluations, I must be a good teacher. If my colleagues, my mentors, and my department chair said I was a good teacher, then I must be. If I write a blog post about a pedagogical technique and it gets a lot of page view, tweets, etc., then that must mean it’s a good idea. There was a moment where, I wasn’t sure I had that much left to blog about because, “my classes are going so well!” I felt like I was starting to reach “black belt” status as an educator and I was honestly worried I was starting to reach the upper bound on what I could learn about teaching sociology. In retrospect, I’m ashamed I let my ego get the better of me- that I didn’t see the folly in my hubris let alone my delusions of grandeur. I opened How Learning Works hoping to pick up a few tips and to verify that the pedagogical approach I was currently using was built on a solid empirical foundation. Instead, I found myself dumbfounded by a question that I hadn’t until then asked myself, “Who am I designing my class for?” As I read about all the issues students face when trying to learn, I realized that for the most part I’d never even considered these issues when designing my class. I modeled best practices I’d picked up from my mentors and implemented some strategies I gleaned from Teaching Sociology, but by in large I designed my class with only one person in mind… me. At some point I realized that the only thing I could control completely was myself. If I over prepared, if I perfected my lecture notes, if I found multimedia that reinforced my message, then I could rest assured that the class would be good. Or if it failed, I couldn’t be held responsible; I did my part. So without consciously making the decision, I decided to focus all of my energy and preparation inward. In doing so, I designed my classes to best serve my needs and then subsequently my students. The radical idea that I took from How Learning Works is, I should be designing my classes for my students. To be clear, it’s not like I didn’t consider student learning before I read the book, but if we looked at where I was spending most of my time, it was on preparing myself on the content I wanted to deliver. The stars of my classes was the sociological content and me. But if I am to be focused on student learning, then my teaching is at best a precursor. Another huge take away from the book was, I have no idea if my students are learning. Sure I assess student learning periodically on tests, papers, but on any given day in class, I had no idea if the methods I used in class actually affected student learning in any real way. Assessment has become a yucky word to many academics, but I think if we’re serious about learning we really must embrace the idea. With this in mind I start and end almost every class with some sort of in class writing assignment. In between classes it’s easy to flip through their writing and identify common misconceptions or misapplications and then tweak the next class to address those issues. I plan on discussing all of the revelations I had while reading How Learning Works and all of the ways it’s changed me as a teacher, but in the interest of keeping this post reasonably short, I’ll stop myself from doing it here. Today I just want to tell you how great of an impact it had on me and hope that inspires you to read it yourself. So now I’m back here on Soc Source, but I return a different person. I’m unconfident. I’m trying to shift away from my “sage on the stage” days and toward an approach that centers on student learning. Instead of taking a command and control approach I’m trying to develop one that assesses my student’s learning and adjusts on the fly. I’m trying to figure out what it means to embrace a SoTL approach to teaching and how to do it. I hope that this doesn’t read as self-indulgence, because that’s not why I wrote it. I wrote this to come clean to all of you. I’m not the teacher I thought I was. After reading How Learning Works I can see just how much I have yet to learn. I’m just starting to wrap my mind around SoTL and how I am going to become a teacher focused on student learning. I’ve only been working at this for a few months now, but I already have so much to tell you about what I’ve been learning. I’ve shifted course and I hope you’ll want to come with me on this journey. Great questions tease out who understands from who doesn’t, but these questions are the most likely to leave your students unsure of themselves. So how do you get students to take the risk and reveal their honest understanding? Here’s a trick I picked up from this great video on using clicker questions in class. Instead of asking your students’ to tell you what THEY think is the right answer, ask them to explain why SOMEONE would pick one of the answers. This approach allows students who don’t understand to expose it in a risk free manner and all of your students can dissect the misconceptions and faulty logics that underly the “wrong answer”. While this approach is ready-made for classes that use clickers, it can also easily be adapted for any socratic method discussion. Questions like these make me think they don’t get it. Film making technology was supposed to revolutionize the theater. Now people as far away as Podunk Nebraska would be able to have the stars of the stage brought to a screen near them. Some of the first films ever made were recordings of stage plays with a fixed camera position and almost no cuts. For many the first inclination with the new film technology was to do barely anything more than reproduce the old. This phenomenon which I call “filming stage plays” is time and again the first inclination of early adopters and the industries that try to capitalize on them. All of this is to preface my take on using Twitter in the classroom with the challenge I presented myself. I wanted to find a way to introduce Twitter in a way that would add a dynamic to my class that was not otherwise be possible. Students in my social problems course were required to read a series of recent publications like The New Jim Crow, Academically Adrift, and some older publications like, The Rich Get Rich and the Poor Get Prison. Before each class meeting students were required to read all of the class discussion questions and tweet a unique discussion question of their own. Too often when I’ve asked students to write discussion questions in the past, all of the questions focus on either the text’s main idea or whatever is covered on the first few pages of the assigned reading. Tweeting discussion questions made it easy for students to see what had been asked already and create helped them novel questions. I also encouraged my students to tweet questions in response to another students question. So when one student asked a question that was off the mark or not accurately representing the reading, their peer could point this out and suggest improvements. For the first few weeks not a single student did this, but as they got to know each other these types of interactions became more common. Students teaching students is rad. Using twitter also made it easy for students to bring in outside media. It was not uncommon for a student to tweet the link to a related YouTube video or news story. Students also took photos of stories in our local paper and attached them to their discussion questions. Twitter shines for its ease of use, near ubiquitous availability (presuming an internet connection), and the promotion of dialogue. On the flip side, discussion boards are opaque with their nested conversations and hard to access (the LMS our university was using at the time had almost no mobile interface). To read each entry in a discussion board you have to click next and reload a page. On twitter all you need do is scroll your mouse or flick your finger across a touchscreen. During class I used a Twitter widget to have all of the students tweeted questions continuously scrolling on the screen at the front of the room. Discussion boards can’t do that. 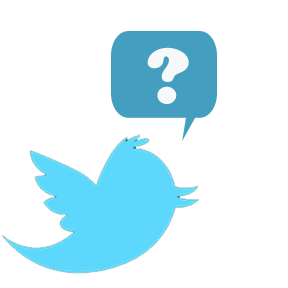 To pull your student’s questions from the maelstrom of tweets you need to create two unique identifiers (what Twitter calls hashtags). I assume if you’ve read this far you know a little about Twitter, but a hashtag is a way to signify what your tweet is related to and also a way to sort tweets. So, for example you could search for #Sociology, as I did above, and see all of the tweets that include that hashtag and are in some way related to sociology. I used one hashtag for my class (#gsusp) and then another unique hashtag for each days reading questions. For instance, when we were discussing Academically Adrift the first day students would include the hash tags #gsusp #aad1 in their questions. The second day of that text it was #gsusp #aad2 and so on. This made it easy for students to see all of the questions ever created for our class ( by searching twitter for #gsusp) and for any specific day (by searching twitter for aad1). If you’re new to Twitter, hashtags can sound sort of crazy, but it doesn’t take long for their utility to become clear. Don’t fall for the “digital native” stereotype, 18–20 year olds can be technophobic too. During the first week when I unveiled my plans to use Twitter multiple students audibly groaned and some seemed panicked. In my anecdotal experience, the few “non-traditional” students were either familiar with twitter or trusted that they could figure it out. If you go down this route, you should plan for some resistance and for some extra time to guide students through the process. That said, by week 3 all of the issues were resolved and it was smooth sailing. Tweets disappear fast. Twitter is about the present moment, so it shouldn’t surprise you that they don’t keep a publicly available/searchable record of tweets. Some of my students tweeted their questions well in advance and then when I did the hashtag search, their questions wouldn’t show up. Now you can go to the individual students twitter account and scroll down to find their tweet, but that can be fairly time consuming if students tweet a lot. Many students had privacy concerns. They didn’t want me to see their personal twitter messages, even though they are by default publicly available. To their surprise, I too didn’t want to read their personal tweets. I encouraged all of my students to create a twitter account just for this class. Accounts are free, so that’s not an issue. Like all new technologies Twitter affords new opportunities, solves old problems, and creates new ones. I’m not sure if my implementation of Twitter in the classroom is the best, but I think I was able to do more than “film stage plays”. Question: Would you like it if most your students came to class having completed the assigned reading? Would you like it if they came to class with detailed notes so they could engage with their classmates better in discussions? Finally would you like to have a detailed outline of all of the reading you assign in your classes? Well than do I have the assignment for you. I have had amazing success with requiring my students to turn in notes covering the week’s reading (Download Direction Here). The notes have to be in outline form and, as I tell them, “need to be written as if the reader had never seen the text.” The notes are graded for their clarity and coverage of the topics in the text. Because these are weekly notes and I want to be able to grade them quickly, I created a check mark grading scheme that allows me to use a rubric with ease. I incentivize the reading notes by allowing them to use them on both the essay midterm and final. “Think of your reading notes as a cheat sheet in a time capsule,” I tell my classes. I sign the front page of the students notes and then only allow notes that have my signature to be used on the test to try and dissuade students from creating other cheat sheets. Reading notes are great because they teach students how to curate information. We live in a society that is awash with information. Consumption is often free or cheap, understanding is less available, but curation is the rarest of all. Our students will work in an information economy that pays people to shift through the haystack for needles. I stress the vocational value of this assignment to my students because they are likely to see reading notes as a “busy work” drudgery. I tell my students that their challenge is to separate the hay from the needles. If they turn in notes that are so detailed and overfilled with information, I give them a grade similar to if they had turned in barely anything at all Synthesizing information is a skill that students struggle with, this assignment fosters it. The by product of this assignment is a crowdsourced outline of your class texts. Last year it occurred to me that I could use my students’ reading notes to fill out my class notes. Each week I took the best reading notes and paired them with my class/lecture notes to create a top notch outline of what we read that week and what I wanted my students to learn. Now that I am teaching Social Change for the second time, I have found my class notes invaluable. I’m not always able to reread all of the assigned readings for a given week, nor do I always need to (some of these texts I’ve read and taught more than a dozen times). Having a “CliffsNotes” guide on what we are reading and what I want my students to take from it, allows me to spend time thinking up new class activities and experiences. Put another way, my notes help me quickly re-remember WHAT I want my students to learn, so that I can spend most of my time focusing on HOW they will learn it. I always tell my students, “to talk about poverty is to talk about children”. The latest figures suggest that 1 in 5 children in the United States is living in poverty (it’s 1 in 6 of all people). However, when the poor are vilified as lazy moochers the face that is often imagined is not that of a child. Poor Kids is a fantastic documentary that has come to us just in time. The film is narrated by the children of three families that are struggling to avoid becoming homeless. Hearing their voices and seeing poverty through the eyes of children is both disarming and gripping. Watch Poor Kids on PBS. See more from FRONTLINE. As a discipline, sociology is great at identifying the structural causes of poverty, but this only covers half of the sociological imagination. Poor Kids gives us the experience of the individual and delivers it in a way that neutralizes the “blame the poor” defenses that many of our students have. This film is a fantastic and free resource that all sociology instructors should consider using. Resources & Ideas for Teaching Sociology from Nathan Palmer.